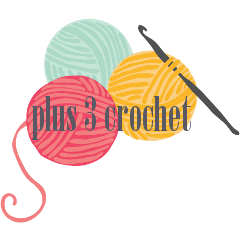 plus 3 crochet: still crocheting! I've really fallen in love with knitting lately and have been doing a lot of it lately but I am still crocheting! It's so satisfying to finish a toy, I don't think I'll ever get over my love of crocheting toys. I also still love crocheting the FreshStitches toys, they're always adorable! I thought I'd share some of my more recent finished toys using FreshStitches patterns. I crocheted this dinosaur as a test for Stacey. 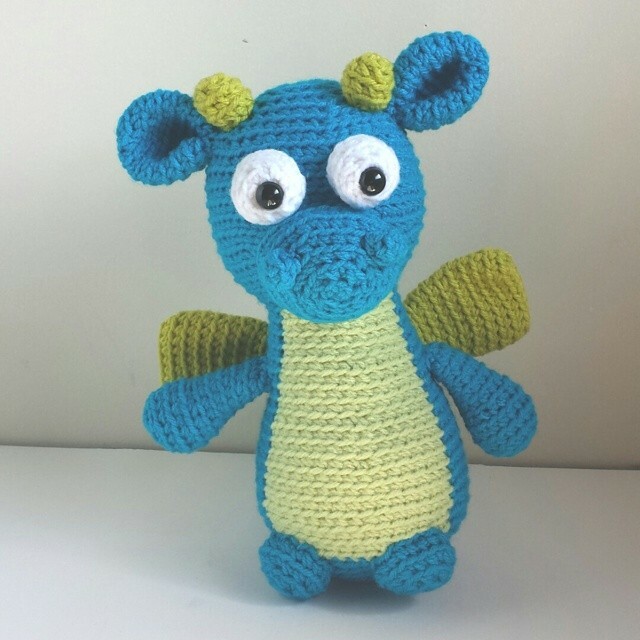 It was so fun to crochet him, I especially love those buggy eyes! I took him with me to my craft sale, he didn't sell but my son was more than happy about that, he chose him as soon as I was home. 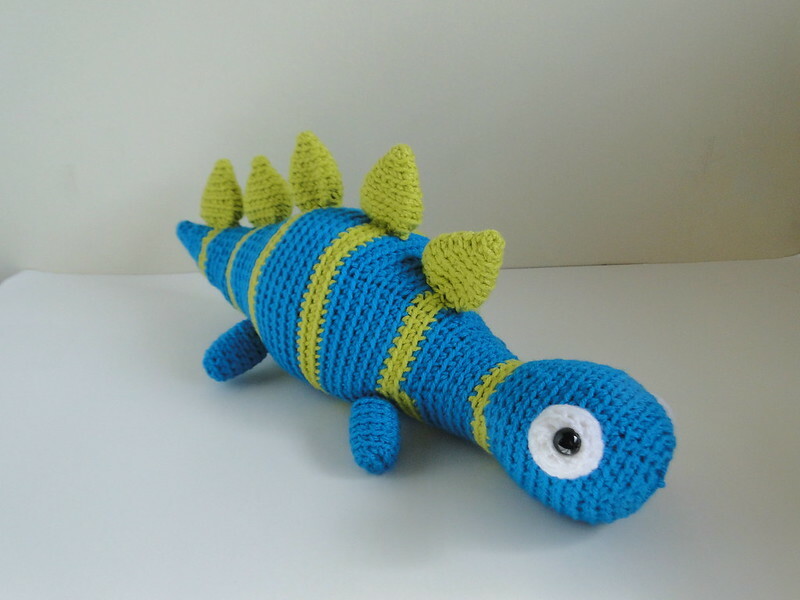 You can get the pattern for Spikey the Stegosaurus here. After my sale, I had a few custom orders to fill. This dragon was one of them. This pattern is a lot of fun, it was another that I tested for Stacey a couple years ago now. There are a lot of different dragons you can end up with using this pattern. You can get the Dragon pattern here. This is the most recent toy that I've crocheted. 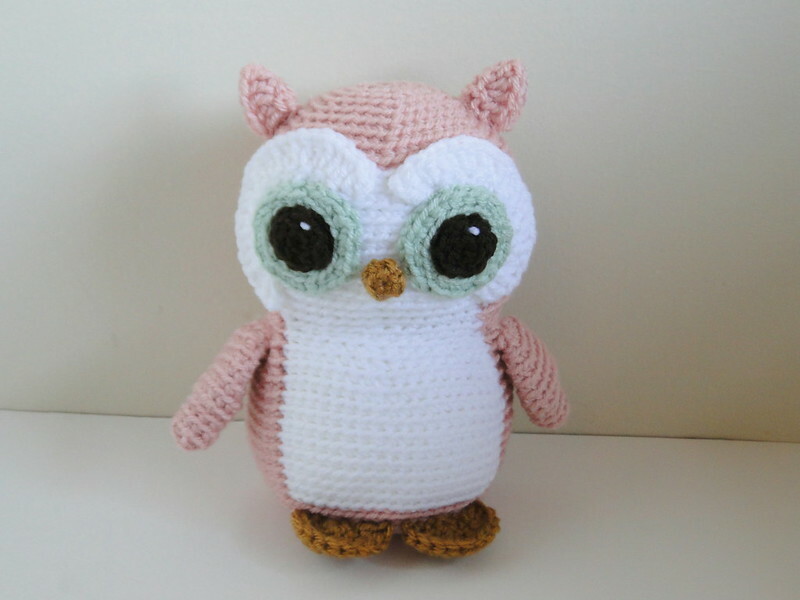 Nelson the Owl was the first FreshStitches pattern that I ever crocheted, I still love it today! I made this owl for my cousin's newest baby, I was told that she was hoping I would make one for her, so of course I had to! I crocheted her a blue owl a couple years ago when she had her first baby. I'm excited to get this to her and meet that baby this weekend! Have you crocheted any of the FreshStitches designs? Which are your favorites?